Barcelona, Spain. 18 February 2016: ExoClick, the innovative ad network, today announced that it has partnered with technology news website TechCrunch.com to sponsor the drinks at the website’s Barcelona Meet Up and Pitch Off. The event, to be held on 24th February, which ties in with Europe’s biggest mobile show: the Mobile World Congress and includes a ‘Pitch-Off’ where 5 pre-selected start ups will have the opportunity to pitch to investors then be asked questions by TechCrunch editors and a local judge. The best pitch will win free tickets to Techcrunch’s Disrupt event in New York, 9-11 May 2016. Attendees at the event can enjoy tapas, with drinks provided courtesy of ExoClick. Launched in 2006 and based in Barcelona, Spain, ExoClick is an innovative global ad network serving 155+ billion geo-targeted ads a month to web and mobile advertiser/publisher platforms via its proprietary software. Founded by current CEO Benjamin Fonzé, ExoClick is ranked as the 4th largest ad network in the world by W3Techs and the #1 ad network for the entertainment market. The Company has been ranked three times in the Deloitte Fast 500. CEO Fonzé was honoured by Xbiz with the Tech Leadership Award for 2015. 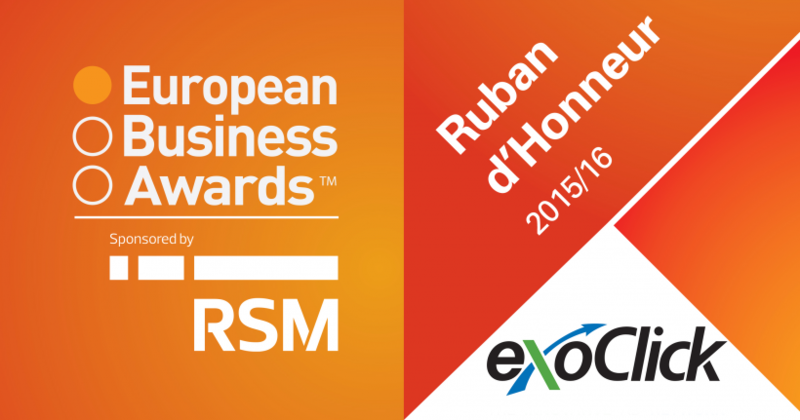 ExoClick won the Ruban d’Honneur Award for The Business of the Year with a Turnover of €26-150m in the 2015/16 European Business Awards and the Company was ranked at number 11 in the Top 20 Best Workplaces in Spain in the category of companies with between 20-49 employees (PYMES).